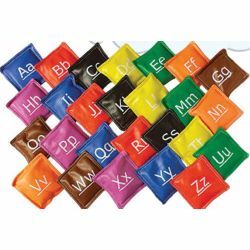 Set of 26 colourful and durable vinyl bean bags. 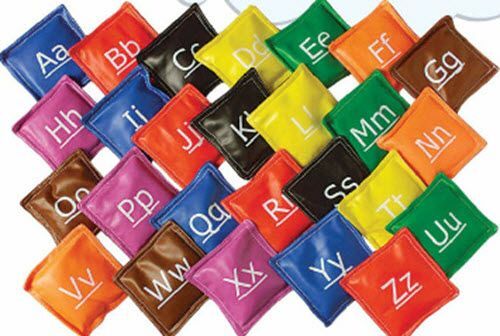 Uppercase and Lowercase letters silk screened on each bag. 4.5" square.